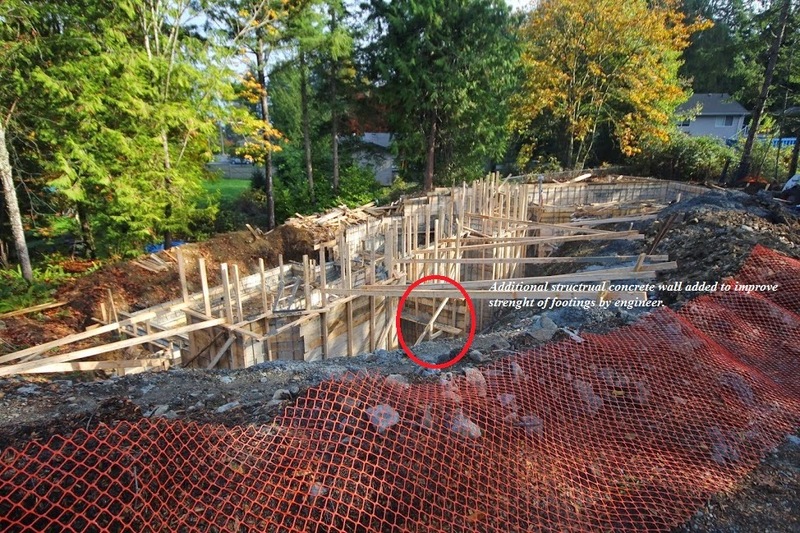 My significant other and I are personally owner-building a home on the Saanich Pennisula and I'll post regular updates and commentary on the progress in this thread. Please feel free to provide comments and opinions on the progress. The first part was buying the building lot. We ended up with a slightly slooping 1/2 acre with all services at the lot line (gas, storm, sewer, telecom, water, hydro). Due diligence that should be done before buying a building lot (this is a non-exhaustive list; always consult a real estate professional and seek legal advice when purchasing a specific building lot). · Check local zoning bylaws to make sure you can build what you want in terms of home location on the lot, size of home, height, lot coverage, secondary suite, tree-cutting, etc. Make sure you are aware of all restrictions which may impact your build. o First and foremost make sure lot is buildable with municipality. o Obtain list of permits and fees required. · Check that the lot has utilities available (sewer, storm, water, gas, hydro, telecom, etc.). o Check the associated connection fees. o Are there any easements, rights-of-way, easements, protective covenants, or other legal notations on the property? § If yes, consult a lawyer. o Is it freehold or bare land strata? § If bare land strata familiarize yourself with the differences and the ramifications of bare land strata versus freehold. · Verify taxes applicable with accountant. o Is there GST, and or other taxes, applicable to the purchase? · Verify with lending institution that financing will be attainable for the desired build. o Can you afford to build a home once you’ve purchased the lot? o Have you considered sunlight exposure and all four seasons? o What changes are likely to occur in the area over the next several years? (housing developments, roads, traffic). If the property has a view, is there a possibility the view might be affected down the road? o Distance to work, schools, medical care, etc. Edited by MarkoJ, 06 November 2014 - 11:20 AM. Looking forward to your progress reports, Marko. Thanks for sharing this. 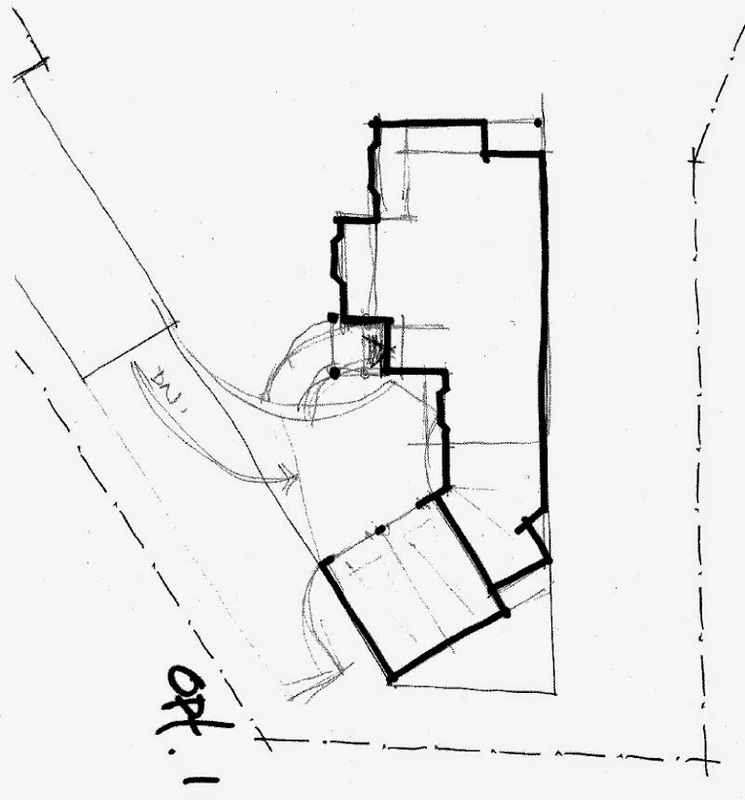 · Prior to designing our home with a designer I had trees cut down [with permits] on the lot in the approximate location of the home to get a better idea for the land, sunlight exposure, and potential views. · Get multiple quotes for designer (or architect) services. I had everything ranging from $3,000 to $20,000 plus and we went with an experienced designer on the lower end of the quotation scale. · Start with a vision and paint the big picture of what you would like to design within your budget. o If you don’t plan living in the home for the remainder of your life consider resale prospects. Often I see individuals design very “custom” homes that struggle in the resale market. Remember, what is “custom” to you is not “custom” to the buyer. o The more information you can provide your designer or architect the more likely you’ll get a solid design while staying on budget in terms of the design process. o Listen to what the designer or architect suggest, they tend to know something about designing homes. · We had our designer draw three rough concepts he felt were suitable for the lot (see below) and from there I and my significant other chose to work with one. From the rough concept chosen we went to a rough floor plan (see below) and exterior drawings and from there we went to the final drawings (see below). o Note in the final drawings we cut out a number of things I thought would be expensive and troublesome such as a curved railing on the upper floor; I had the designer replace with the straight railing. · Our plans were approved by the municipality first time around with two weeks, in my opinion a big part of that was our designer had decades of experience including the specific municipality. We opted to work with option #3 and from there we went to the rough floor plan. and from there to the working drawings. 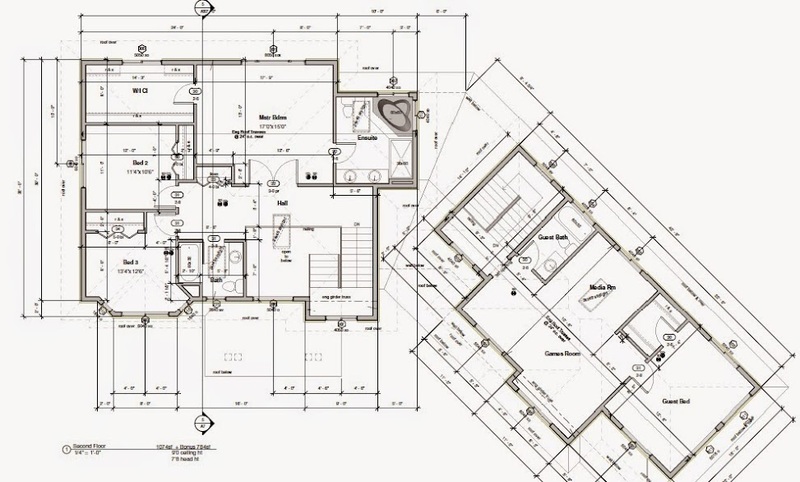 Once your home plans are finished by your designer or architect before applying for a building permit there is a number of things a municipality will require. This is a basic list of things and is by no means exhaustive and only covers a few basic points. 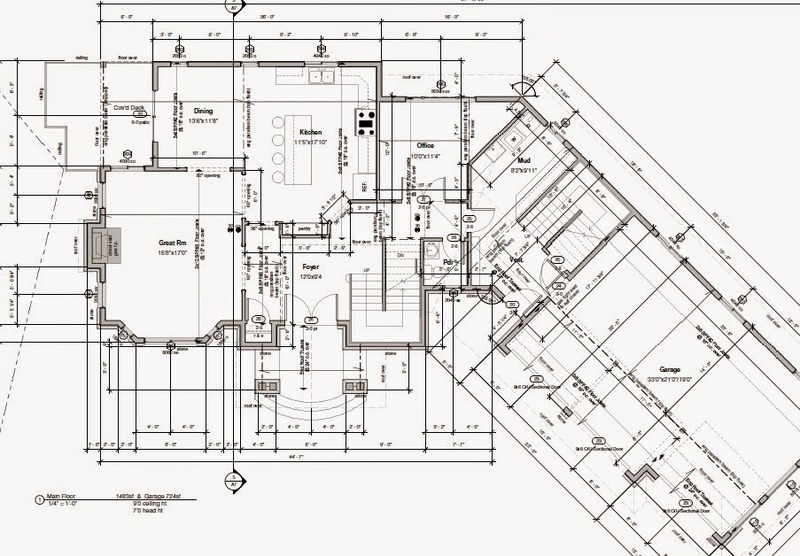 · You’ll need your plans professionally engineered by a structural engineer. o Depending on the complexity of the home this can cost anywhere from $800 to $3,000 (rough ball park, verify if important). o You’ll be required to provide two sets of engineered plans to the municipality. · You’ll need to apply through the HPO for a “New Owner Builder Authorization” letter. · At the time of application for a new home permit the municipality will require a number of other things. For example, this is required by one municipality in Greater Victoria; however, the list may vary from municipality to municipality. 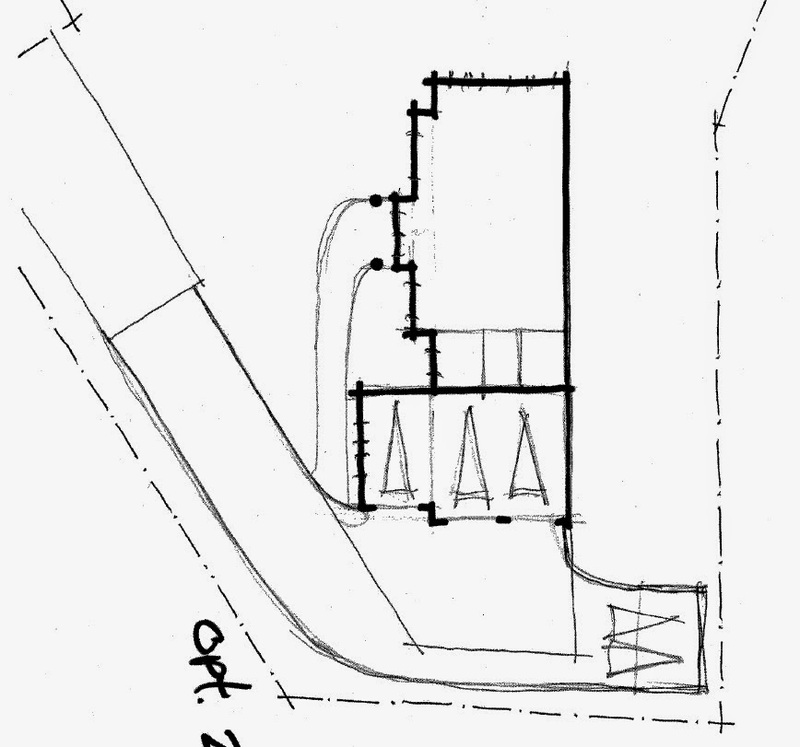 Below is an example of what the engineer does once he or she has the plans, in this case at the front of the home he added an additional concrete wall to t into the footing. Edited by MarkoJ, 06 November 2014 - 11:36 AM. Whereabouts did you find a nice lot like that on the peninsula? 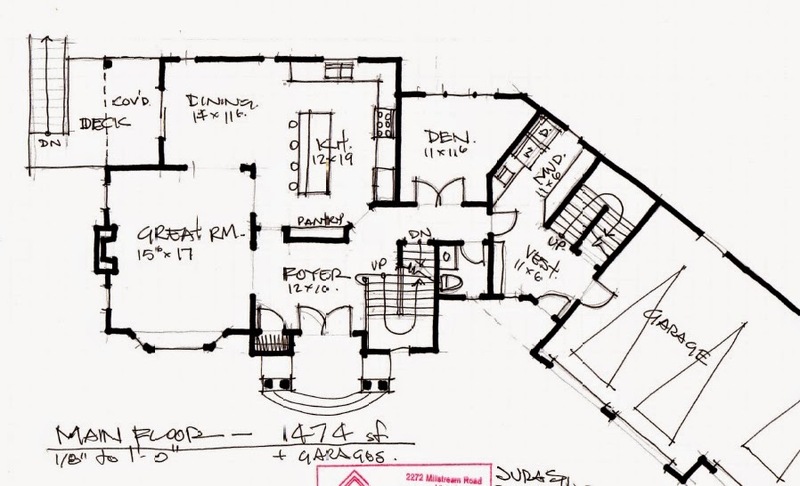 Would love to see the second floor floorplans as well. While the garage and main home are connected on the main floor we seperated them completely on the second floor. Edited by MarkoJ, 06 November 2014 - 01:13 PM. Great project, Marko. I'm looking forward to seeing the progression. The main floor layout looks good, quite similar to a friend's home that I like a lot. Just curious as to why you split up the upstairs? And who is your builder? All those steps you outlined looks like a lot of work, but you get exactly what you want, where you want it. In terms of cost, is it significantly more doing it this way than a similarly sized/spec'd house on a new subdivision being built by a "community developer"? Excavating a property requires the help of a surveyor who has to come out usually at least twice and an excavating companying. Planning ahead, such as not trucking away (expensive) rock or materials that you may later need to backfill is essential to keep a project on budget. Excavations can be very unpredictable so always budget a huge safety net over your estimated excavating costs. It also helps if you design a home that works with the land to minimize excavating costs. Even though the excavation in the pictures appears to be large we worked with the sloping land and all in we ended up spending less than $8,000 on excavating and trucking. We also totally lucked out as we hit rock almost everywhere but just at the right depth where it did not need to be blasted. The lose rock recovered by excavator; instead of trucking it away we piled it into the garage to reduce trucking in backfill later on. Rock (right) left for backfill. Rock piled into the center of the garage (footings go around the rock). Edited by MarkoJ, 06 November 2014 - 02:42 PM. The reasons we split the upstairs is in the event that either I or my significant other end up running a home based business we would do it above the garage. With a split staircase clients coming by can use the side door beside the garage to go upstairs to above the garage versus coming through the home. We are hoping to come in $50,000 to $100,000 below what a similar spec home would cost with the savings being derived from doing an owner-builder route. I am the "builder." I'll qualify that with I have lots of experience in real estate and less, but some, experience in construction. A lot of my real estate clients are framers, roofers, electricians, etc., so I have a large network of contractors I know which makes contracting out a project like this a little easier. A lot of things like tiling, landscaping, rock work, driveway, finishing, etc., we'll do with the help of my father. If we had to hire a builder there would be no savings. At that point we would just buy a finished home. Edited by MarkoJ, 06 November 2014 - 01:52 PM. I realize fall is slower than spring, but I thought you were a very busy agent. Not enough hours in the day! . I like the design. If you've got a rev-it or cad drawing of the exterior, that would be interesting to see. I'm curious how complicated your trusses are going to be with the dual split roof. The footings and foundation ended up being quite a lot of work. During the foundation process you’ll need several professional involved in addition to the framing crew. • Surveyor to make sure you’ll be below maximum height allowed by bylaws. (on our project we had to do a number of different calculations including obtaining various measurements from the truss company to make sure we would come in under max height. • Plumber to developer a plumbing plan so you can leave the appropriate cut outs in the concrete walls. Edited by MarkoJ, 06 November 2014 - 02:41 PM. I don't think trusses will be too complicated. I have a couple of reasonable quotes already. Just have the basic exterior drawing (on a tight budget, didn't want to spring for 3D colour renderings). Will switch double front entry door to large single door and sidelights. Thanks for the write-up Mark. What's with the tiny garage doors? All three garage doors are fairly big - 9'x8'. 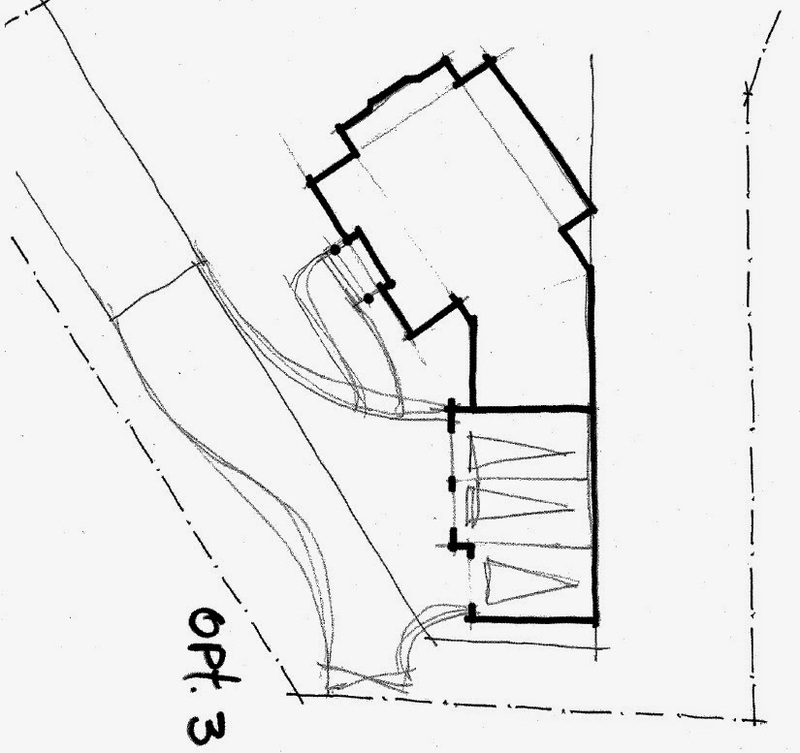 The exterior view drawings are difficult to gauge as it is an angled garage and I only paid for 2d drawings. Edited by MarkoJ, 06 November 2014 - 02:48 PM. Very nice, Marko! That's going to make one heck of a home office up there. Thanks for posting Marko. I love to see this kind of thing as I hope/plan to build one day. Ditto, though my partner is in love with our current 80s split level, so probably won't happen till I downsize in a few decades! Are the roof slopes as low as they look in the rendering?